I was thinking again today a little about the missing of the guarantee -- by a long, long shot -- at the $10 million Seminole Hard Rock Poker Open Main Event, the final table of which is currently being live streamed over at PokerStars.tv. By the way, I enjoyed last night’s stream from the SHRPO (the Super High Roller final table) enough to write an article today about it on Learn.PokerNews pointing out how great those shows are not just for being entertained but also for hearing smart strategy talk, especially from the pros who come on as guests. Guarantees have become more and more common for poker tournaments, especially live ones with many series’ Main Events featuring them. I believe all of those tourney series I mentioned in yesterday’s post featured guarantees of some sort, though none as gaudy as what they had down in Hollywood, Florida. The recently completed WinStar River Poker Series Main Event in Oklahoma had a $1 million guaranteed first prize which helped create a dizzyingly steep payout structure with second place only getting about a third of that amount. Even the WSOP got in on the guarantee-making this year with a $10 million guaranteed first prize for the Main Event. 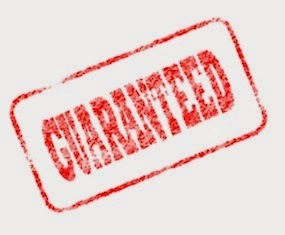 Some are discussing the significance of guarantees which do tend to work as part of the marketing of tournaments, usually giving players some indication of what size field to expect. For example, PokerStars is about to start its WCOOP series this weekend, and as usual there are guarantees set for all of the scheduled events. And you can almost guarantee all of those guarantees will be met (easily), meaning those who play in the events will be almost assured of what the minimum field size will be in each tourney. Field sizes matter to players. Prize pools matter even more. For those focused on the potential ROI when playing a tourney -- or just getting pleasure from being able to set their sights on a certain ideal payout -- guarantees can be especially meaningful. I was thinking, though, in a more abstract way about how paradoxical is the idea of anything being “guaranteed” in poker, a game in which bad play is sometimes rewarded and good play is not. Tournament poker in particular tends to highlight that fact with the players who enjoy the greatest returns almost invariably having enjoyed some form of good fortune along the way. Perhaps that’s why these guarantees assigned by tourney organizers to prize pools seem so meaningful, providing as they do players with at least something they can count on.